Offering a broad range of home entertainment/home theatre solutions is exhibitor Tutondo. The SA2500 enables the control of two sound sources from any room. Using the zone controls, it is possible to adjust the volume, turn the system on/off, choose a programme, radio station or music from the CD/MP3 player. The company describes the Mondo TVA as the most complete and advanced solution for broadcasting to every room of the home. 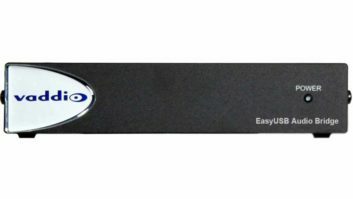 Using the wall control and the remote control, it is possible to select and manage up to eight composite video/audio sources plus a local audio source. The TVA also features additional integrated functions that provide the ability to control it via a home automation system. The MondoT audio system allows the control of up to nine sound sources from any room. Like the Mondo TVA, it is designed to be integrated into a home automation system. The Tutondo Mondo TA system can control up to nine sound sources (CD, DVD, HDD, tuner, VCR, satellite receiver and so on) and broadcast the sound to up to 48 rooms. At the same time, the volume, bass and treble and the choice of radio station or CD, view RDS radio information and the name of an MP3 file, can all be handled from each room. Other functions can be added.